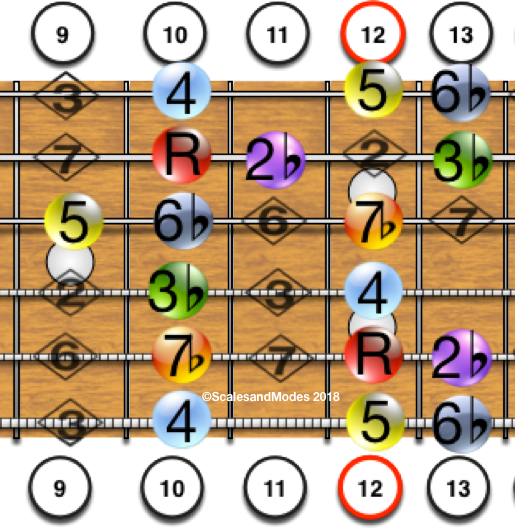 A Phrygian Scale derived from the 3rd tone of the F Major Scale. 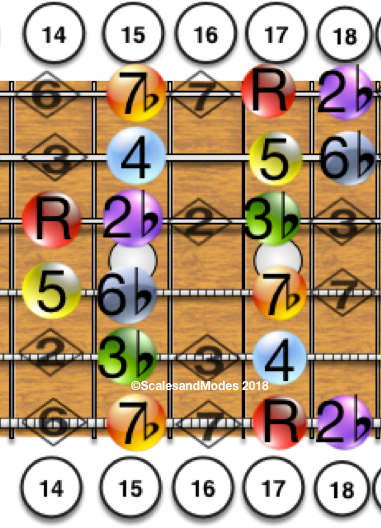 The 2nd, 3rd, 6th, and 7th tones are lowered 1/2 step. 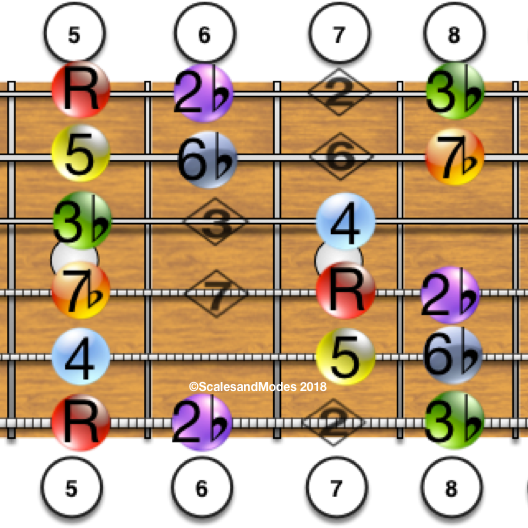 The tone intervals of the Phrygian are the same as the F Major Scale. This is the G Form of the Caged System. 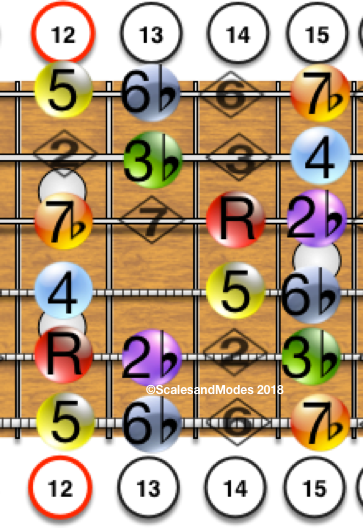 All notes of A Phrygian Mode on fretboard. 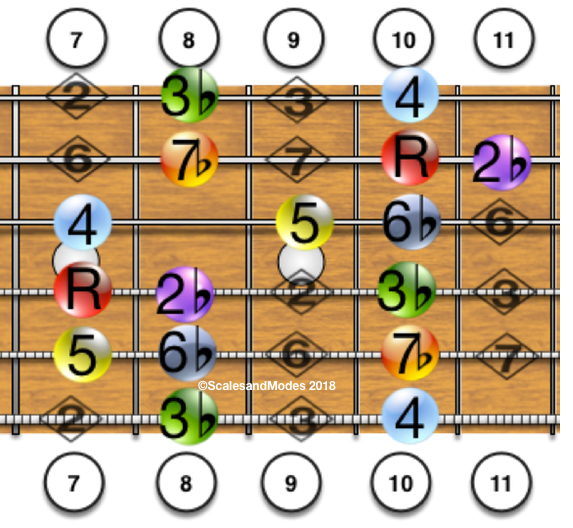 Remember that A Phrygian is derived from the 3rd tone of the F Major scale.